Question: I have no contact solution, what can I use? I ran out of contact solution and don’t have access to contact lens solution. It forgot to bring my solution with me – what would the best option be for emergency contact solution? Can I soak my lenses in the leftover, dirty solution that I cleaned them with last night (in my lens case there is still some solution remaining from last night)? Should I sleep with my contact lenses in? I can then buy contact solution the first thing in the morning and soak them at that time. Can I put my contact lenses in water for a night? I can then buy contact solution the first thing in the morning, and soak them at that time. I have heard that it’s bad to sleep with your contacts in. Then I heard it’s bad to soak them in water, but I’m not sure which is worse. Can I put my contacts in tap water just for overnight – one night? 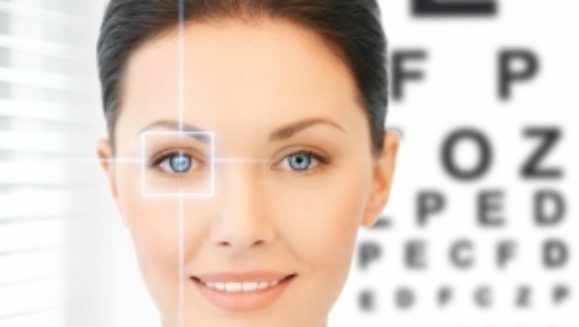 What Can I Use as an Alternative to Contact Lens Solution? – The best option if you can’t get new solution is to just use the solution in the case from the previous night or time. That’ll be fine for a night until you get some new solution. – Do not use tap water from the faucet. Tap water isn’t just water. It has other things in it including chlorine and fluoride (which, by the way is toxic and not good for you – that’s why it cleans teeth so well). 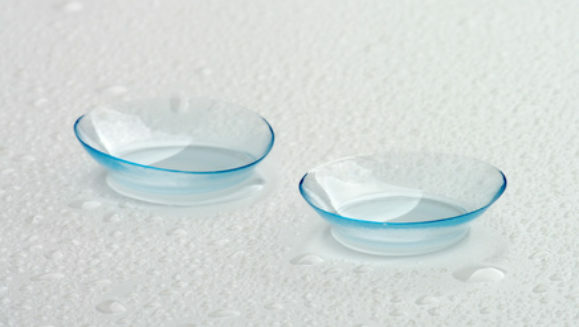 So, no you don’t want to put contact lenses in water for a night – not even one night. – Always use fresh contact lens solution – that’s your best option. Stick to good, new contact lens cleaning solution in a clean contact lens case. This is your eyes we’re talking about – you only have one set and they’re important… you use them every day. – Along with fresh solution, it is a good idea to rub your contact lenses (with clean hands, of course) even if the solution is labeled “no-rub.” The rubbing gets even more bacteria off of your lenses, helps them last longer and makes your eyes feel better. Lens solution comes in a bottle with a small nozzle for a reason – you can use that pressure on the lenses to help clean them, which is another way to help clean them if you don’t rub them. If you don’t have any contact lens solution with you, your best option is to use the lens solution from the previous day, then go buy some and soak them in the new, fresh solution for at least a half hour. Like we said, with clean hands, rub the new lenses a little as they sit in the fresh solution to help clean them better. The main thing to remember with your contact lenses is that they go directly on your eyes. You only get one set of eyes, so you need to take care of your contacts so they don’t damage your eyes since that definitely could happen. If you use lenses that are good for 30 days, it’s a good idea to clean them using a hydrogen peroxide cleaning and disinfecting kit once a week. Doing this will renew your lenses and get rid of any build up. They will come out really clean in the morning. Get a kit at a local department store or online. Make sure you leave them in the solution for at least 6 hours. When you take them out, it’s a good idea to put them in a clean case with your normal lens solution for at least 10 minutes. Always use clean hands. Use a paper towel or clean towel to wipe your hands dry. Never use a facial tissue as that can leave small particles in the lenses, which can irritate your eyes. 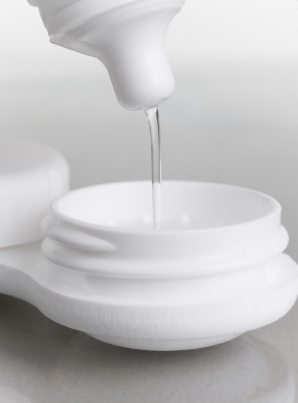 And yes, you can clean your contact lens case – you don’t have to always buy new ones. Just run it through the dish washer with your other cups and plates and everything. Let it dry well and then you can use it. Number one is the best. 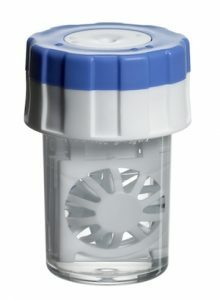 You can reuse old solution if you need to because it’s actually not that dirty after storing contacts in it overnight. I’ve done it myself without any negative effects. I wouldn’t recommend doing your other suggestions because while sleeping in contact lenses might work for some people, they do tend to get dried out overnight. They can become literally glued to your eyeballs. As for storing them in water, tap water has impurities and those could damage your lenses. Also, if you put them on your eyes, they will stick to them. Number one is best with an addition: Then in the morning, wear your glasses to go to the store and buy new solution. Soak the lenses in the new fresh solution for the recommended time and then wear. While at the store buy two bottles of solution. When the first one is empty, open the second one and buy a new bottle right away and continue to always buy a new bottle right away when one bottle gets empty. That way you will never run out again. Don’t use water it will mess with your contacts and yours eyes will hurt when you try to put them back in. I’ve been in this situation believe me I know. I have had to reuse the solution in my case before and that is the option I would choose. My doctor has told me its okay to sleep in them but that depends on the kind you wear. I also now keep a small bottle of solution in my purse so I won’t get caught without one again. Another thing that works in a pinch if you happen to at or near a hospital is normal saline. What do you think? Leave your questions and comments below! Yes any optometry sells colored contacts. If you need a prescription…if no prescription you can buy at a gas station which I wouldn’t advise. Good Luck. Today i had no choice but to store my contacts in water, can i deep clean them and soak them in solution, and then wear them?? That should get all the regular water out of them. If they start irritating your eyes, then remove them.